An alien landscape teeming with astonishing life exists deep under the surface of the ocean off the southern Gulf of California, and scientists are only just beginning to understand how this diverse ecosystem thrives and survives in such a seemingly hostile environment. The two-part mission consisted of high-resolution mapping of a known hydrothermal vent field known as Auka and the newly discovered JaichMatt field found just 2 kilometers (1.2 miles) away. Both areas are of particular interest given their unusual chemistry and ­geology in a volcanic deep-sea environment. 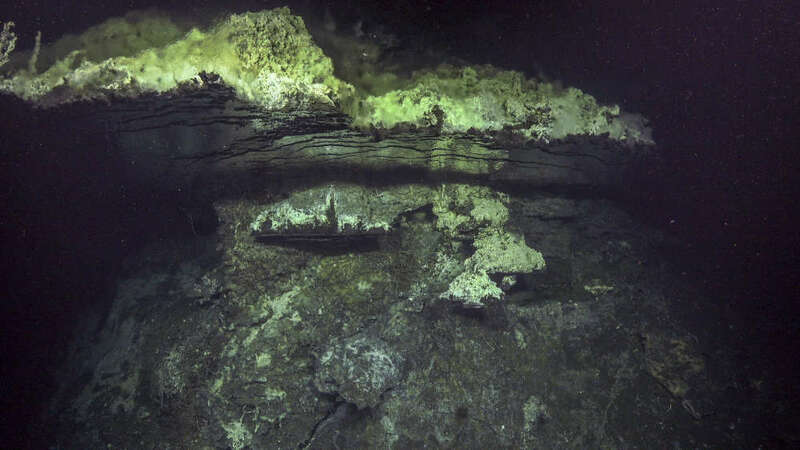 JaichMaat is not only home to multiple hydrothermal calcite mounds reaching up to 25 meters (82 feet) high and venting fluids as hot as 287°C (549°F), but a plethora of unidentified species and features were revealed during the submarine exploration – including hydrothermal fluids that pour into “upside-down lakes and waterfalls”. “The hydrothermal structures here are beautiful. The animals and the bacteria that are supported by the vents are different because the chemistry of the fluids is different than the usual sulfide type chimneys,” said Research Specialist Jennifer Paduan in a statement. The largest vent, fittingly named Tay Ujaa or "big cave", consisted of a cavern constructed of calcite produced as a byproduct of the hydrothermal activity. Here, the cavern holds “shimmering” water before it escapes over the rim in what looks like an upside-down waterfall. Hydrothermal vents are openings in the seafloor where heated mineral-rich water flows into the ocean, essentially creating an underwater hot spring. Just like those found on land, deep-sea vents can host a variety of weird and wacky creatures. Take, for example, the Xenoturbella profunda just collected by researchers. Despite lacking teeth or jaws, this sock-like creature is able to prey on clams and features a “strange line around the body” almost like stitching. 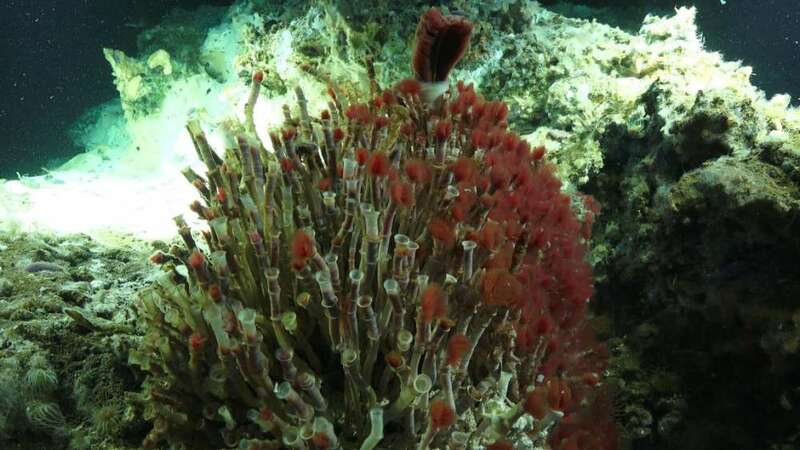 Other animals typically found in non-hydrothermal environments, such as anemones and a variety of tubeworms, were discovered near and around the hydrothermal vents. 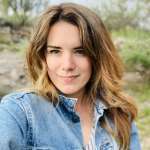 The team hopes to sequence the genomes of these and other microbial organisms involved in methane and hydrocarbon processes in order to better understand how these complex ecosystems interact with the world around them. “The hydrothermal structures here are beautiful. 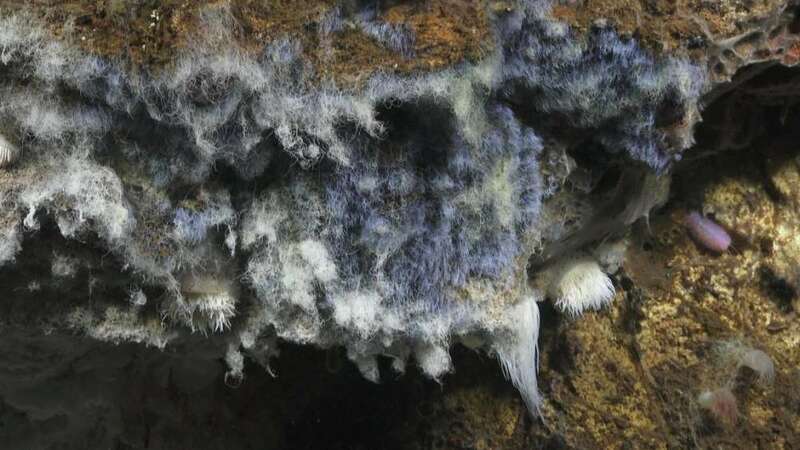 The animals and the bacteria that are supported by the vents are different because the chemistry of the fluids is different than the usual sulfide type chimneys,” said Research Specialist Jennifer Paduan. First discovered in 2015, the site has only been visited by scientists just a handful of times. In order to explore it in more detail, the team first captured a high-resolution map of the known Auka field while simultaneously using autonomous vehicles to find potential new vent fields, such as the JaichMaat field. Though these underwater hydrothermal zones play a massive role in the shaping of our planet, they are still relatively underexplored and not well understood.